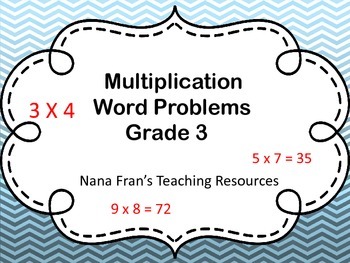 There are 40 word problems using multiplication in this resource. 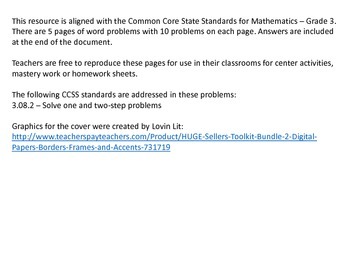 Teachers can use the sheets as center activities, student mastery of the concept, homework sheets or morning work. 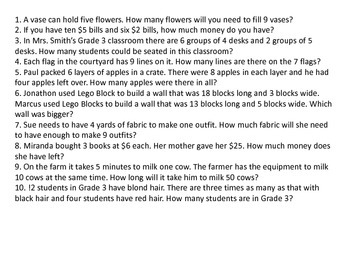 There are 10 problems on each page and answers are included.